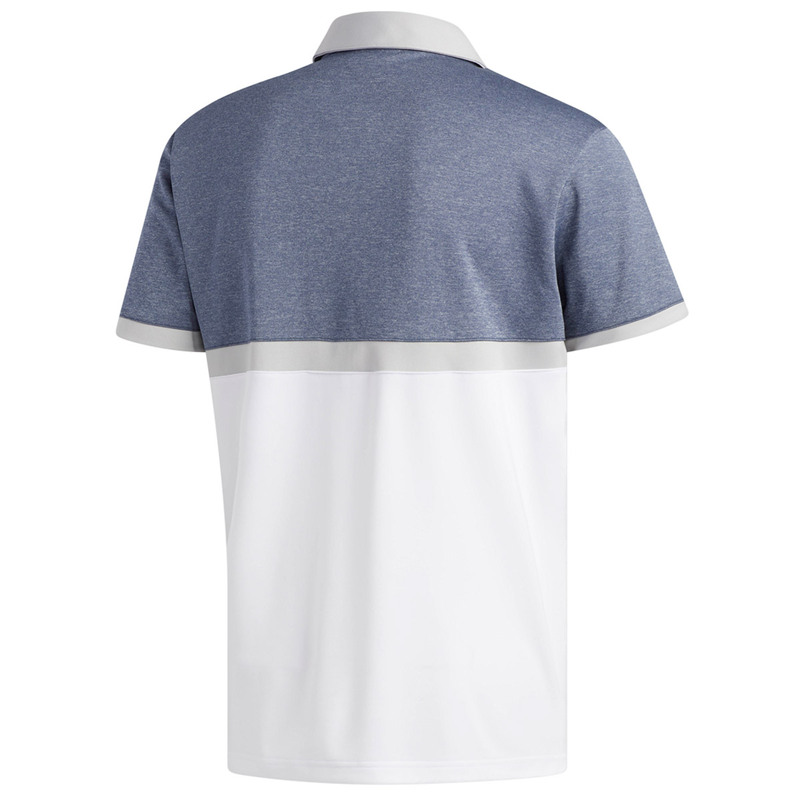 This stylish polo shirt has been designed with a heathered fabric and colour blocking to provide a modern look and feel. 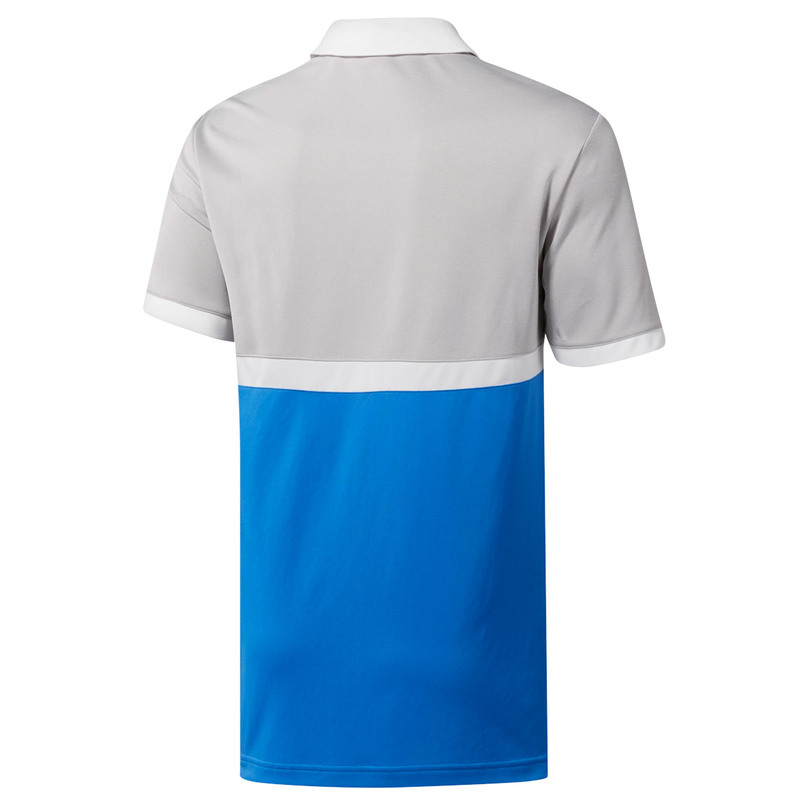 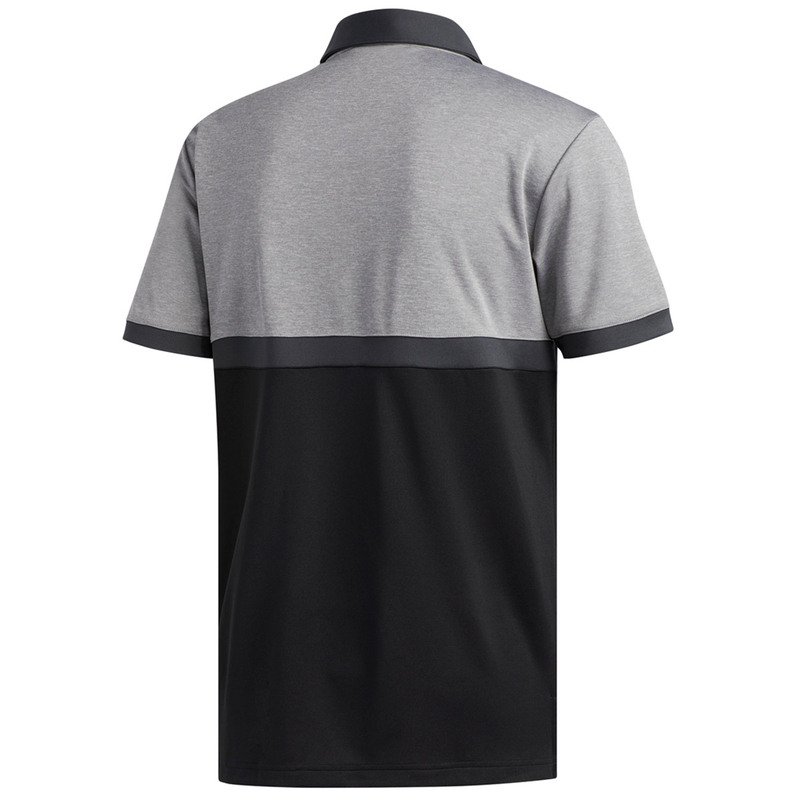 Constructed with 100% polyester fabric which stretches to move with the body during the golf swing movements. 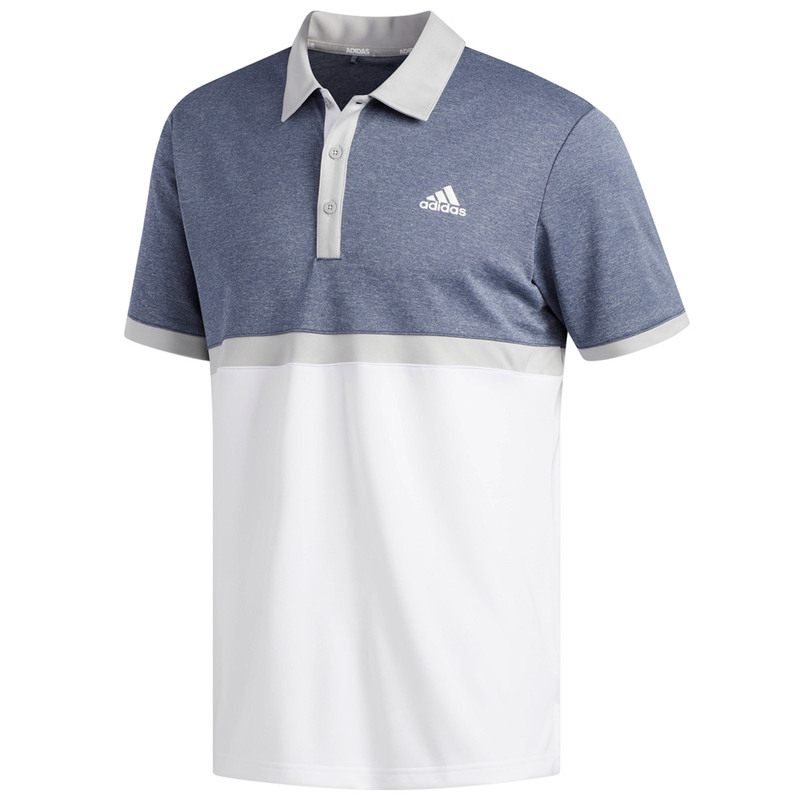 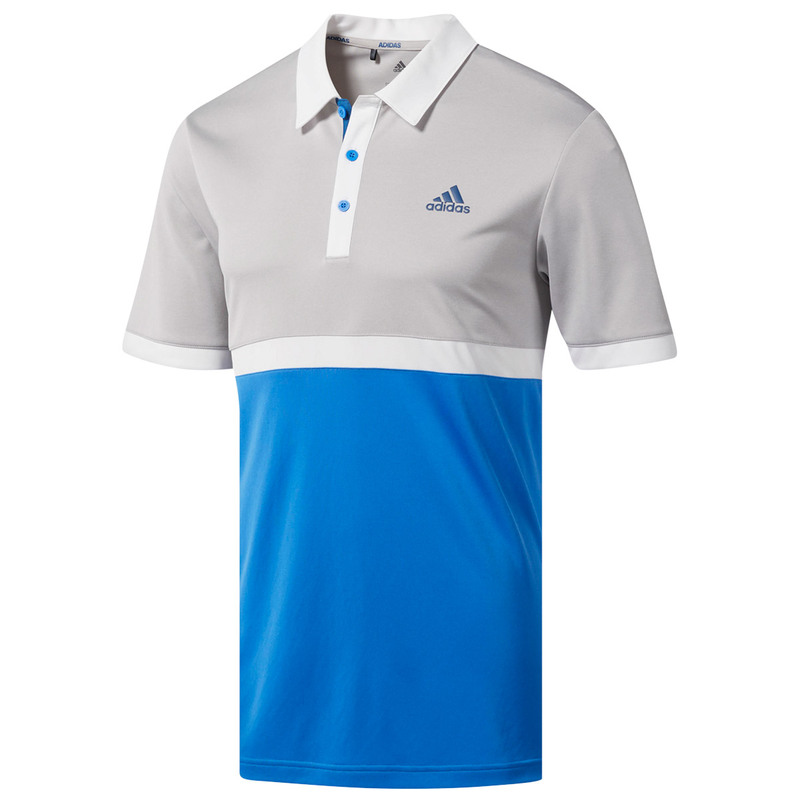 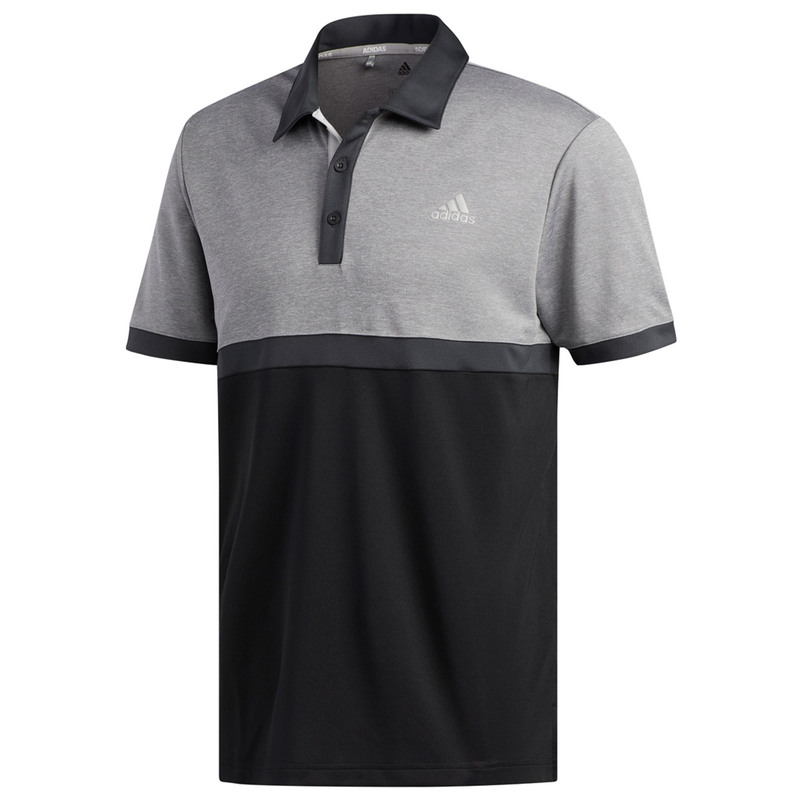 The design features a classic 3-button placket for adjustable cooling, has a fold over collar, and is highlighted with the adidas badge of sport on the left chest.